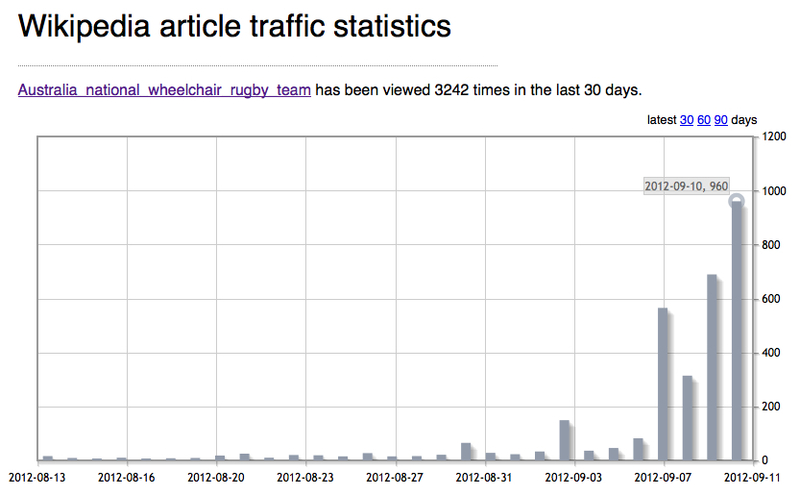 I have written a second post for The Conversation about the Sochi Paralympics. As with the Winter Olympics held earlier this year, some athletes benefit from a very comprehensive, bespoke service to support their performance. This kind of service raises important issues about whether technology and engineering innovations are “essential for performance” or constitute “performance enhancement”. In principle unnatural or artificial aids which modify the performance of the competitors and/or constitute a technical correction of the individual’s physical predisposition to a defective performance, as well as competition equipment which impact the health of the competitors or increase the risk of accidents are to be excluded. 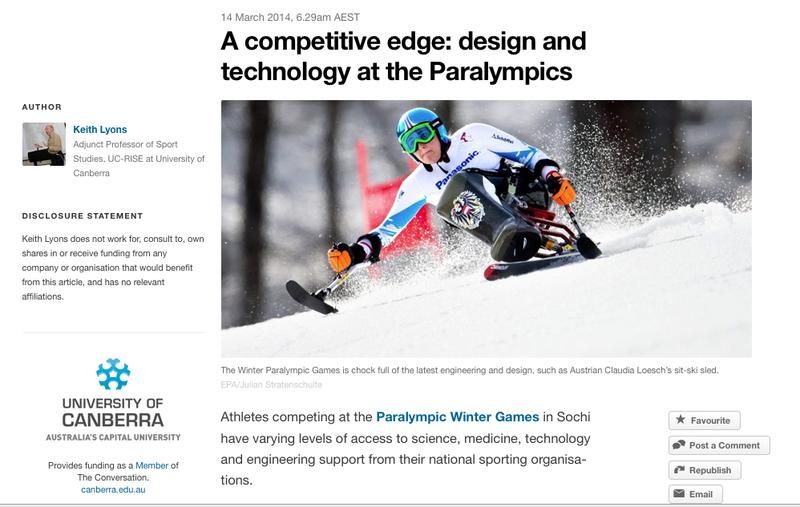 Posted on 14/03/2014 Categories Performance, SportTags Paralympics, Sochi, UCRISELeave a comment on A Competitive Edge? 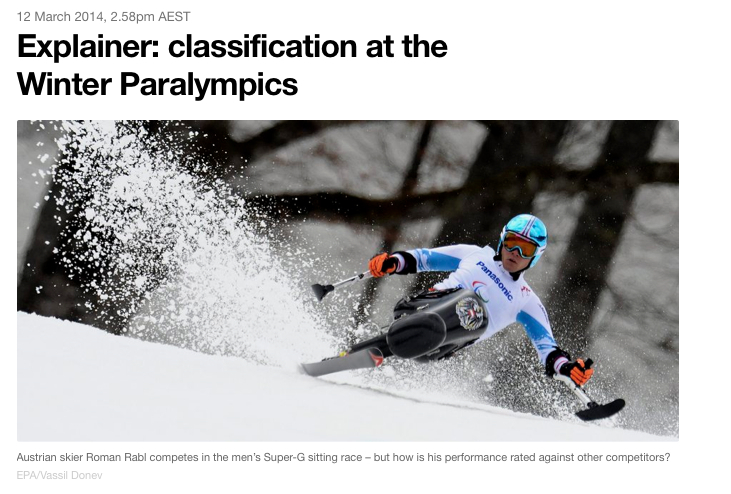 This week I had an opportunity to write an ‘explainer‘ for The Conversation about Winter Paralympic Classification. I am hopeful that it is a reasonable explanation of the process and outcomes of classification. It includes a discussion of the Factor System in use too. 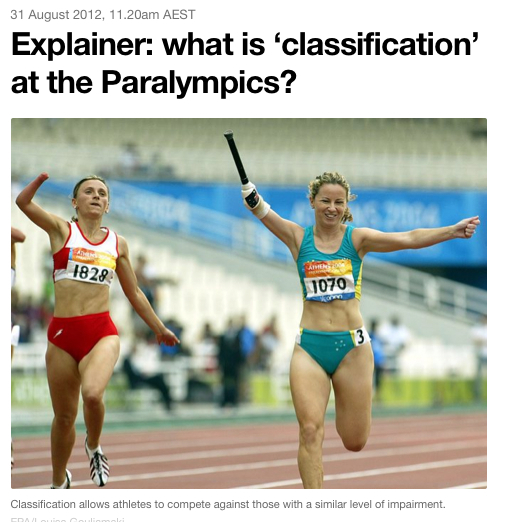 I wrote an explainer for the Summer Paralympics in 2012. In late August this year I wrote in The Conversation about the HoPAU Project and the use of Wikipedia to share information about Paralympic athletes and teams. This is my fourth post on Clyde Street to follow up on The Conversation post. Team members from the HoPAU Project have shared some of the work undertaken during the Games. All Australian medallists at the London Games have had their Wikipedia entries updated to include their medals. 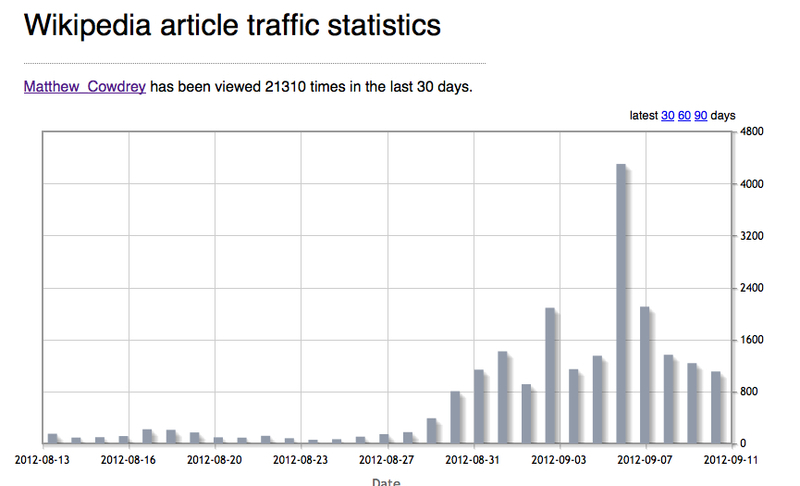 Laura Hale discovered that Athlete Classification pages on Wikipedia received significant interest. For example, T37 and T38 had approximately 100,000 views. 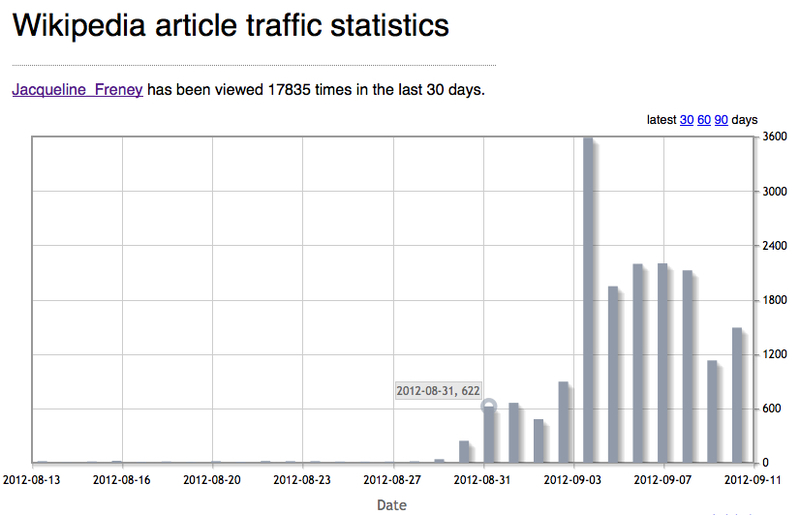 Graham Pearce points out that the actual total number of views on Wikipedia may not be know as there was a problem with Wikipedia statistics from 3 to 10 September.